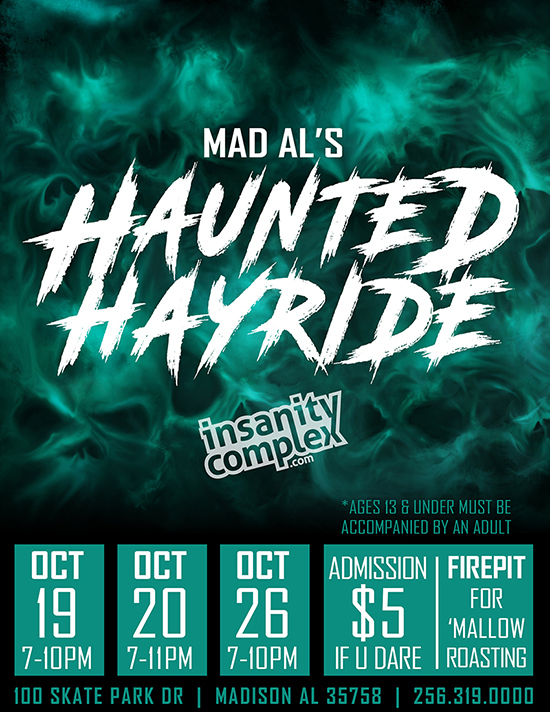 Mad AL’s Haunted Hay Ride opens Friday, October 19th at 7pm until 10pm! Admission is $5 per person. Terror awaits in Insanity Complex’s haunted wood, then sit back and relax while roasting marshmallows around the fire pit. Mad Al’s Haunted Hay Ride will be open October 19, 20, and 26. *Ages 13 and under must be accompanied by an adult.